Community Cafés are gatherings where people participate in a series of guided conversations. Strengthening families means building the protective factors. This takes creating stronger partnerships with parents and communities. Meaningful conversations are the mechanism we use to develop these relationships. 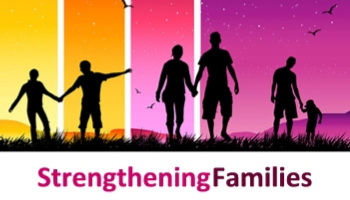 This portion of the training is intended to review the basic concepts of the Strengthening Families™ Protective Factors Framework and leave you with some ideas for how you can begin to do your work differently, involve more parents and make the protective factors an integral part of your work.